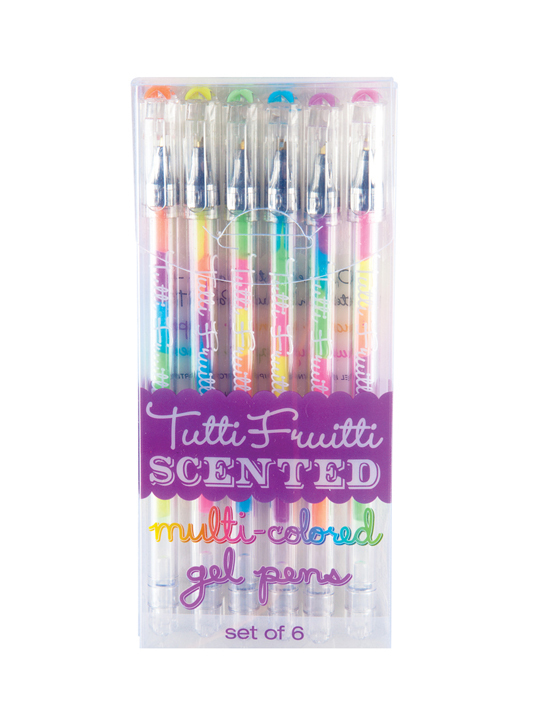 Everytime you write and draw with Tutti Fruitti Scented Gel Pens, you’re in for a colorful gel ink surprise. 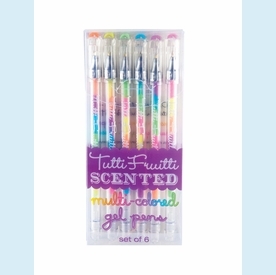 That’s because Tutti Fruitti Pens are made with beautifully multi-colored sherbet gel ink that changes color as you draw. And they smell great too. Each set comes with six pens with delicious fruity scents including Orange, Lemon, Grape, Strawberry, Apple, and Cherry. Tutti Fruitti Gel Pens look great on black paper too. 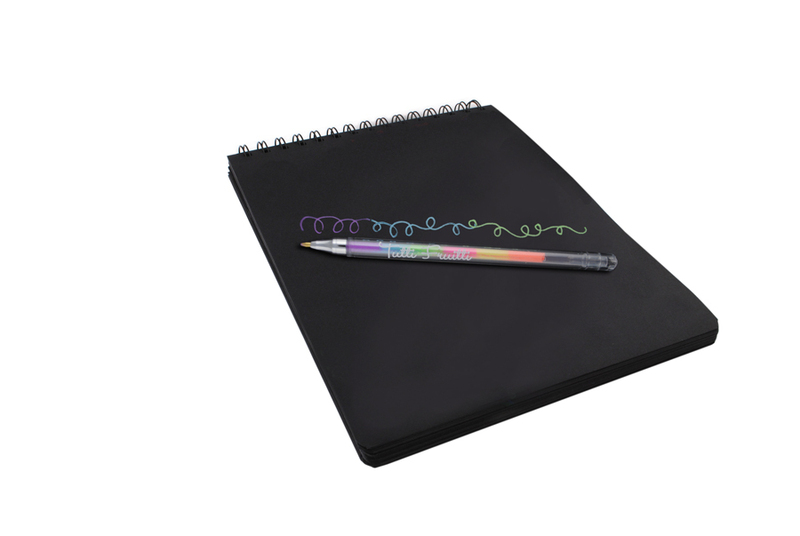 Try them out on our Black DIY Cover Sketchbooks and watch as the gel ink comes alive on black paper. Use them for drawing, art, writing, greeting card writing or classroom notes. You’re writing and drawing will never be the same.